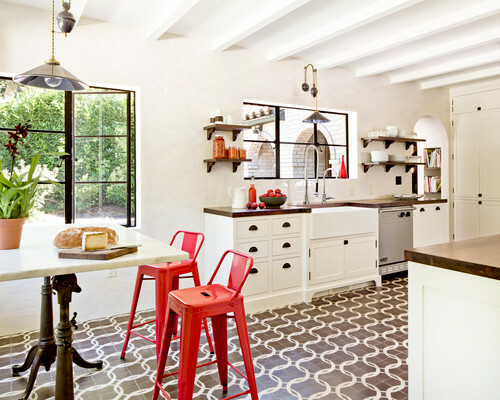 If you have been paying attention to any of the home remodeling TV shows, then I am sure that you have seen some form of cement tile being installed. These are sometimes referred to as pattern tiles, and are reminiscent of either a Mediterranean or New Orleans style (depending on the design). However, these tiles are making a comeback in a big way. So, if you enjoying keeping up with current trends, then you should really check these out. If you haven’t yet heard of the latest, new invention in night lights, you have got to see these. I have to say that I absolutely love this product. I ordered just a few to start with, but after seeing how they work, I immediately went back for more. They are safe, automatic, night lights that camouflages themselves as outlet covers. 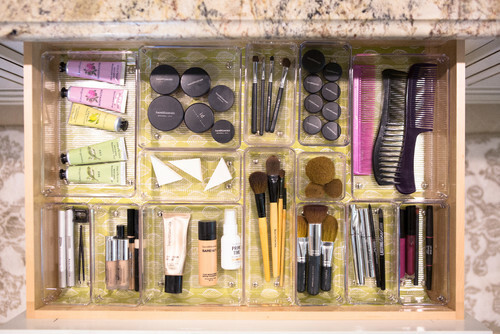 Who doesn’t just love to have all of their makeup perfectly laid out and organized? I know that I love to be able to see all of my brushes, lipsticks, and what nots beautifully displayed and easy to visually locate. But sometimes, we just don’t have all that wonderful space to create such organization. However, I have found the following ideas to be great for adding storage space or for better utilizing what is already available. These 10 cosmetic storage ideas are sure to help you get your makeup (and what nots) better organized, too! One of the easiest, and yet scariest DIYs, is to build cabinet boxes. There are so many different techniques that are used to build cabinet boxes, and every builder will have a preference. I frequently get questions pertaining to my method of choice. So, today I am going to go over the two most common ways that I build cabinet boxes for both the upper and lower cabinets. I promise, they really are not difficult to make. So, jump right in and try it yourself! There is just something about a claw-foot tub that is so charming and elegant. Perhaps it is the vintage vibe that one gets from placing such a throw back item into a modern day setting. Whatever the reason, claw-foot tubs are a popular bathroom piece, and luckily, they can work with any design style. With just a little information on claw-foot tub styles, anyone can work one into their design choice.